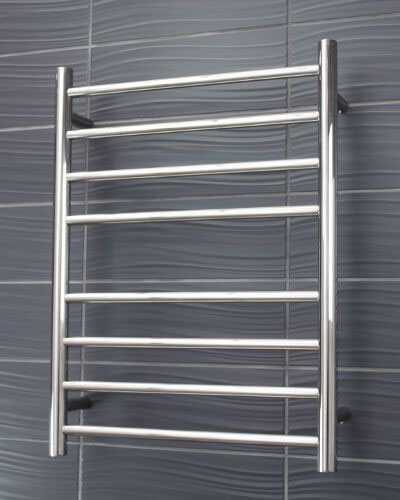 This high quality 8 bar round heated towel rail is backed by a 7 year warranty. Our heated towel rails have Australian approval and can be plugged into a wall socket or hard-wired to hide the cable. Available in left or right connections, each towel rail has a hard-wired concealing kit included. Hard wiring must be completed by a licensed electrician. Want to check out the specifications? 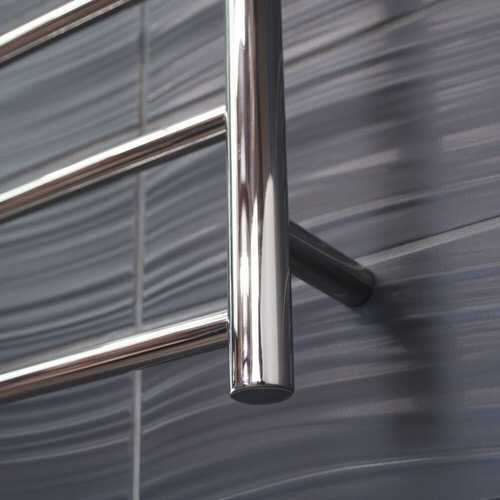 Ideal for tight spaces, the 8 bar heated towel rail is manufactured from 304 grade stainless steel and includes a hard-wired concealing kit.